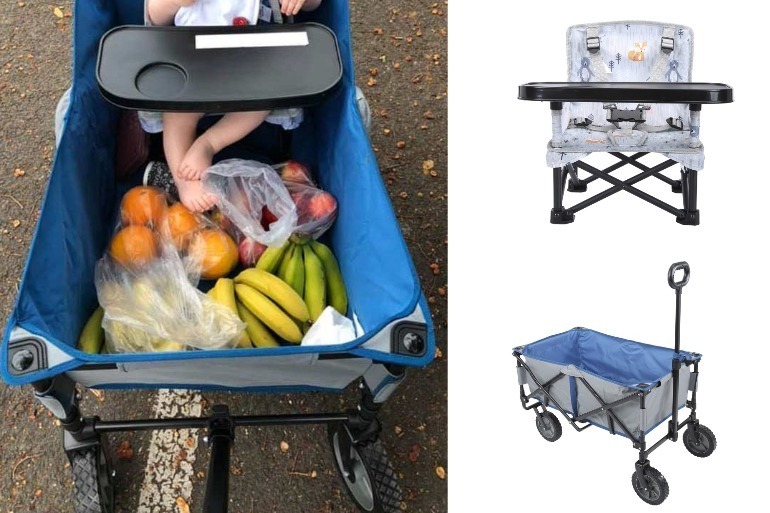 Wheel your way into easier outings thanks to this ingenious invention which allows you to cart your stuff and feed your child on the go. No, it’s not some super stylish stroller/high chair that just hit the market. It’s a one-of-a-kind Kmart hack. And it will set you back less than $80! 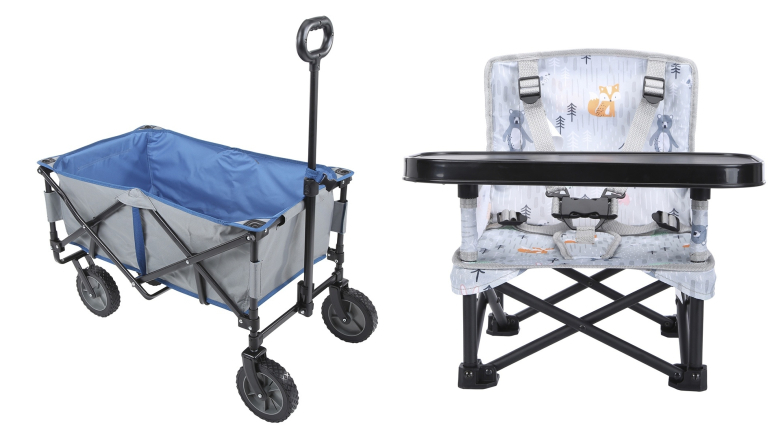 It’s a match made in mum heaven – the always popular Kmart beach trolley, $49, and the portable booster chair, $29. Together, they make any adventure with your little one easier. The only problem? Getting your hands on these two must-have items might be a bit tricky! Both of them sell out like hot cakes. 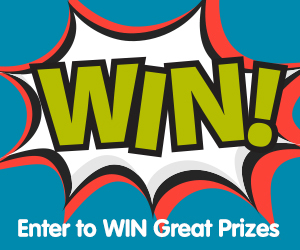 And, after we show you what happens when you mash em together, we’re sure they’ll be even trickier to track down! A mum shared her trick on Kmart Mums Australia, showcasing the contraption in action. And before anyone starts, YES, he is safe in there! 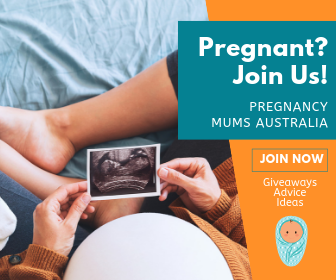 Naturally, ALL the Kmart mums LOVE this idea! I mean, how could you not? The Kmart Beach Trolley can literally go anywhere and holds a whole heap of stuff (from sand toys to shopping bags). And adding the cute little chair means bub can enjoy a snack on the go! All under close supervision, of course. Plus, you are left with both hands free and no baby to carry. Wheel that tot instead! 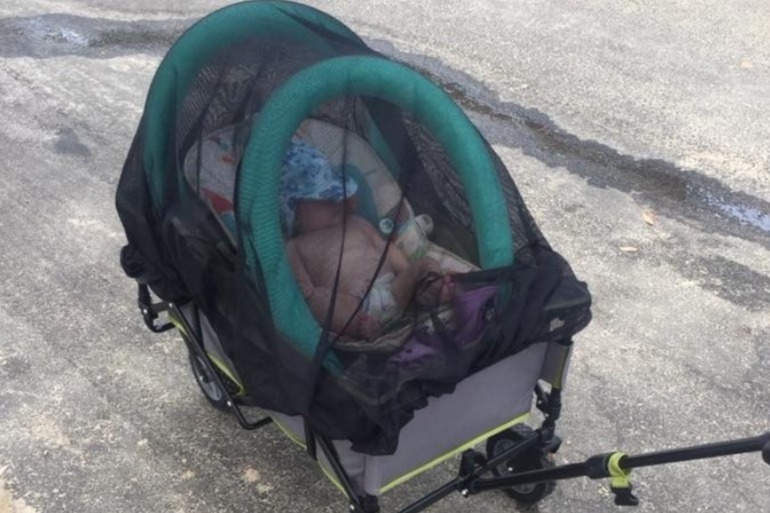 This isn’t the first awesome hack involving the Kmart Beach Trolley. 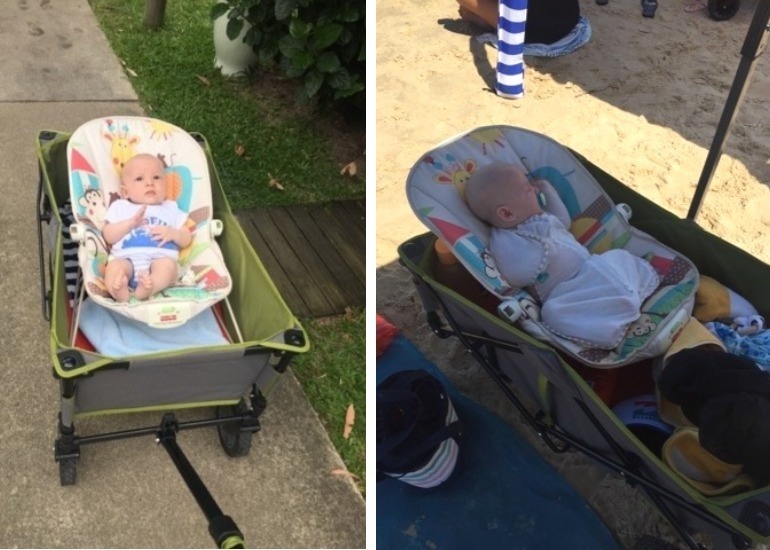 Last year a mum combined the a baby bouncer with the Kmart Beach Trolley while on a camping holiday. She even added a pram shade sail for additional awesomeness. People have added fishing rod holders and cup holders to the thing. They’ve carted eskys, birthday supplies, camping gear, even kids who are too lazy to walk. But we especially love this take on the Kmart beach trolley! 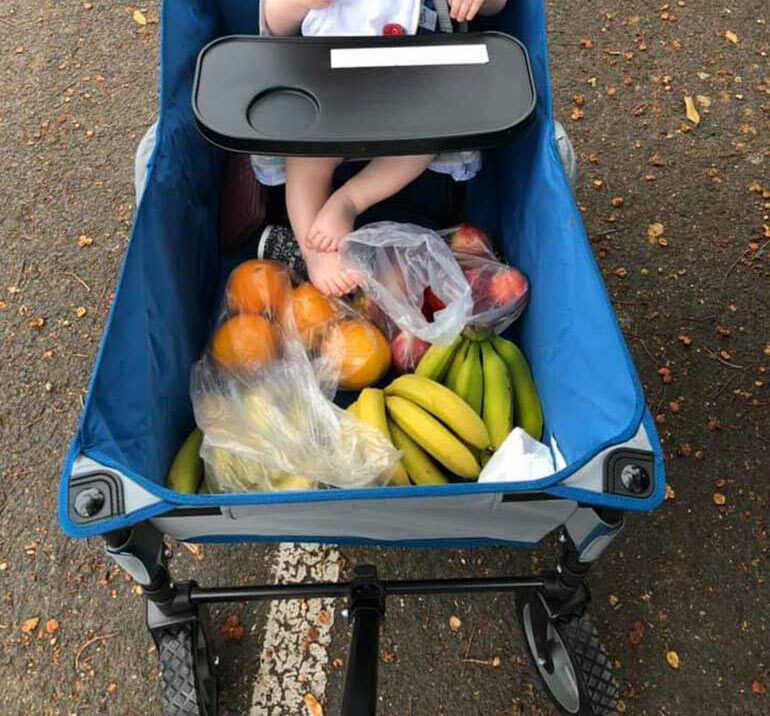 Being able to enjoy a morning out with your little one, actually run the errands you need to do AND keep bub happy throughout the ordeal – well that’s what we call a major parenting win! If you are on the hunt for more Kmart products to add to the shopping cart, have a look at these clever Kmart hacks every parent needs to know about. Because, let’s be honest, too muck Kmart really is never enough!